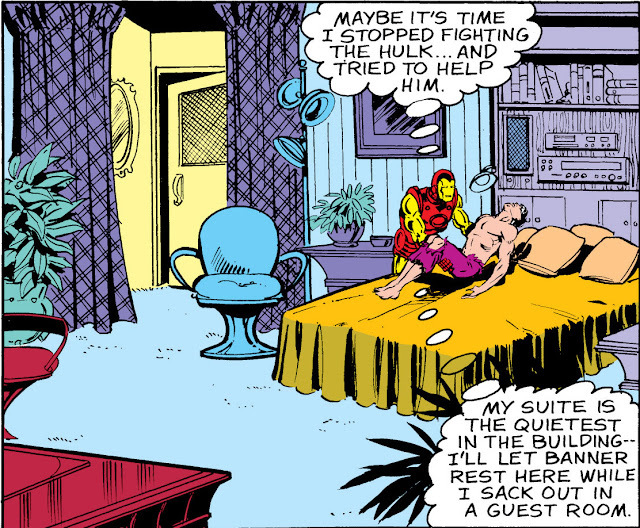 Here's a litte something for Tony/Bruce shippers. 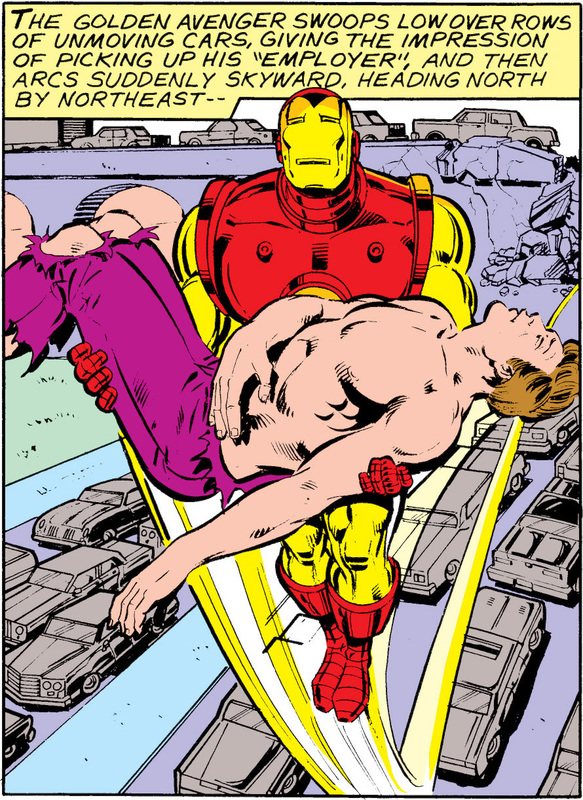 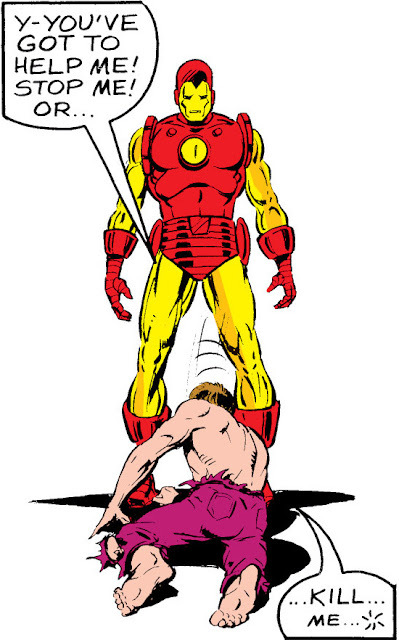 In Iron Man #131, Iron Man helps the authorities engaged in thrying to contain the Hulk. 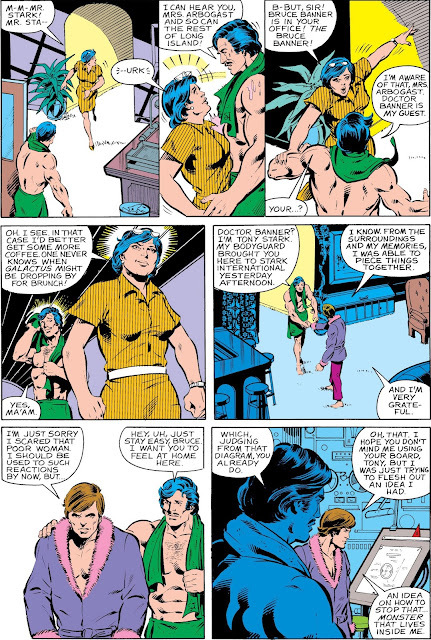 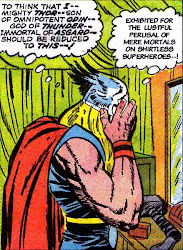 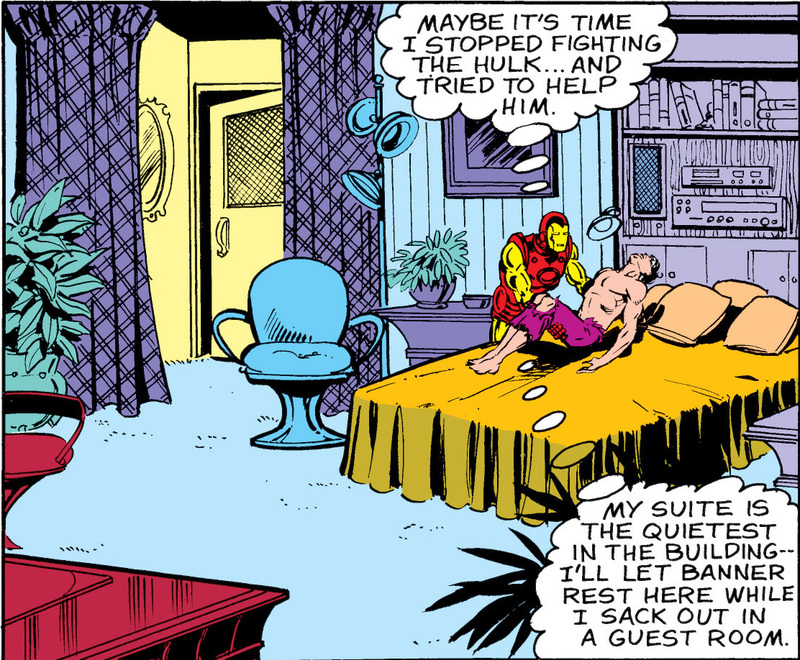 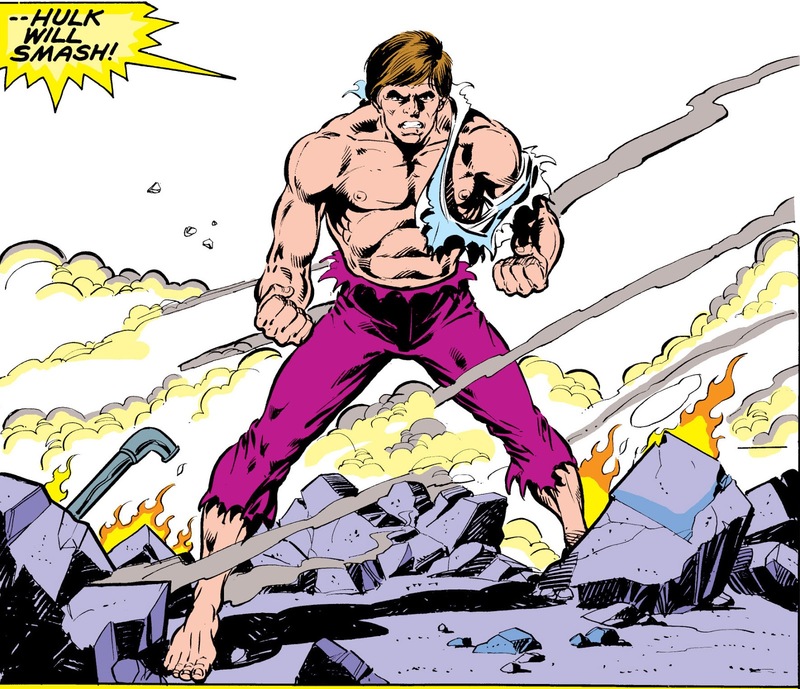 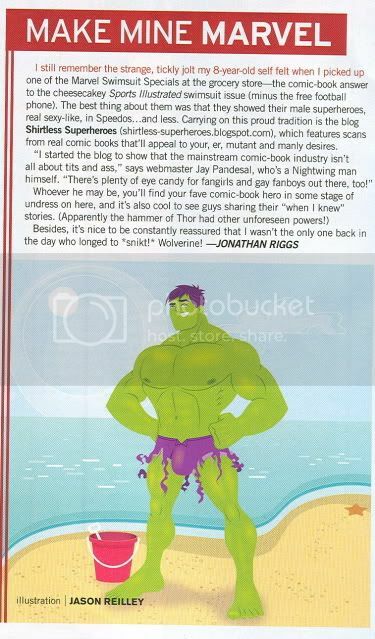 After the big green guy calms down, Tony Stark whisks an unconscious Bruce Banner to his penthouse, where they hang out in different states of undress.